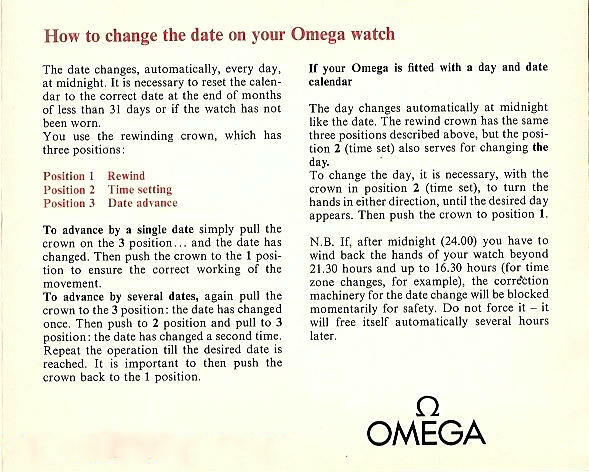 This men’s Omega Constellation of the nineteen-sixties has long suffered the ignominy of confused gender identity and has generally been regarded as a bit of a sissy. Often described as, heaven forbid, a ‘unisex’ watch or a ‘larger ladies’ piece, the 153.001 men’s chronometer languishes in a horological sub-culture that few males dare to enter. But when one scrutinises its aesthetics, its design story on the whole is redolent of some fairly pungent male pheromones. For example, the proportions of the watch are bold: a wide, brushed finish bezel that accounts, overall, for around thirty percent of the design surface; a polished crystal recess that accentuates the contours of the bezel; beefy quarter hour applied markers with applied onyx baguettes in-between and minimalist stick hands. Hardly any oestrogen present at all! It ain’t dainty that’s for sure, but in today’s fashion milieu where cases sizes often outstrip the land mass of Malta, this 33mm rounded square men’s dress watch produced only in eighteen karat white and yellow gold is snubbed by mainstream occidental collectors. So, it’s a little small, but so are Kalahari bushmen, and you wouldn’t call them sissies or milksops, would you? Perhaps it’s the automatic calibre 672 sitting under the dial that has scared men away? Regarded as a “ladies” calibre, the bullet proof 67X series was produced at Omega’s Rayville factory, formerly the home of Blancpain, and acquired by Omega because of the factory’s capacity to produce small movements. It’s a mighty little machine, and most undeserving of chauvinistic scorn. The 153.001 was manufactured for a limited time in the late sixties, and few rather than many came off the assembly line, competing as they did with calibre 712 dress watches. Adjusted to five positions and temperatures, I think this 33mm men’s chronometer is a perfect collectible for Oriental males: it’s a Constellation; it’s uncommon, particularly in white gold, and it fits snugly around the styloideus ulnae of the smaller Asian wrist. A photo of one of these was posted recently on TZ Omega Forum with a request for information. I had never seen one before and until researching it on the Omega Heritage website thought all constellations had seconds hand. Cheers and all things Connie..
Hi Mark, nice to hear from you, and great to hear that you enjoyed yourself in Oz. Quite a few non-second sweep Constellations, mostly in the cal 711 and 712 ranges, however the 153.001 is one of the very few non 711/712 models to have no seocnd sweep.